Company registers hundreds of domains for new over-the-top service. T-mobile registered hundreds of domains in advance of its TVision launch. Photo courtesy TMobile. 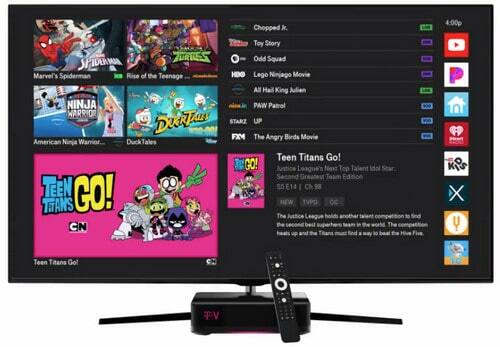 T-Mobile (NASDAQ: TMUS) launches its over-the-top television service TVision this Sunday in select markets. In preparation for the launch, T-Mobile registered over 200 domain names as defensive registrations to keep them out the hands of detractors and cybersquatters. And that’s in .com alone! The defensive registrations run the gamut. It’s common for brands to register a lot of protective domain names when launching a major product or new brand. The exercise can be one in futility; with over 1,000 top level domains and endless permutations of defensive domains, it’s impossible to register every possible domain. Here’s a full list of the domains I discovered. I’m sure there are many more.